I'm not sure who's more tenacious...Katy B or her record label (Columbia Records), but whoever it is...keep those singles coming! 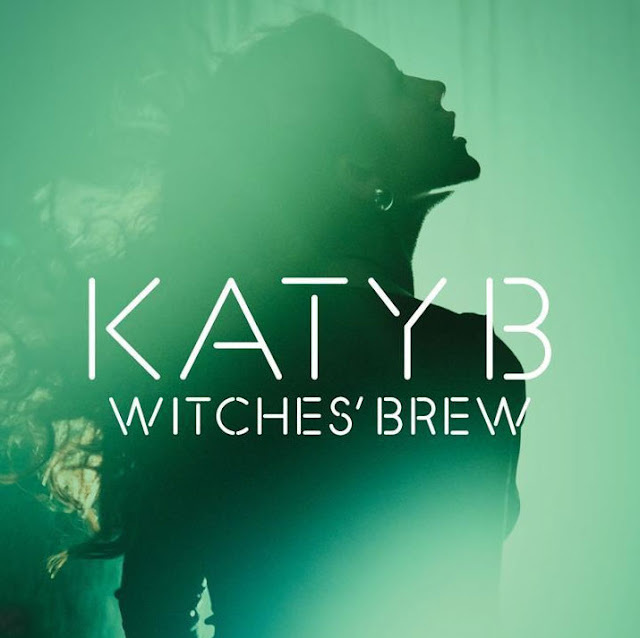 "Witches Brew" is the fifth single to be lifted from Kathleen "Katie" Brien (AKA Katy B)'s debut, top 5, Mercury-nominated album, On A Mission. Written by Katy, DJ Zinc, Greenus &amp; Sam Frank and produced by DJ Zinc, "Witches Brew" picks up exactly where her previous singles left off. The talented 22 year old has a knack for making catchy, uber-dancey pop jams by infusing a variety of genres into her sound, including dubstep, R&amp;B, funk, house and UK garage. Katy's debut single, "Katy On A Mission" was released nearly a year ago, when it peaked at #5 on the UK Singles Chart and topped the dance and independent releases chart. Her next chart appearance was with Magnetic Man on the collaboration track "Perfect Stranger," (which was included on her album) which managed to peak at #16 on the UK Singles chart. "Lights On" (featuring Ms. Dynamite) was Katy's official follow up and major label debut single, released in December the song debuted at #4, while third single "Broken Record" debuted four spots down at #8 when it was released in April. "Easy Please Me," Katy's last single, was the lowest charting single debuting at #25. "Witches Brew" is easily one of my favorite tracks off the album and a far superior single (as far as I'm concerned) than "Easy Please Me" so here's hopin' the song does better than it's predecessor when it's released on August 29th in the UK. Katy B's debut album, On A Mission, is due out in the States September 13th. Here's hoping for a tour! Check out Katy (channeling Molly Ringwald) in the super cool Colin Tilley-directed video for "Witches Brew" below and download "Katy On A Mission" on U.S. iTunes HERE. American fans can also pre-order the album HERE, due out September 13th via Sony Music.